Building model is a concrete way to validate or present a project.. We distinguish the building model that represent a new project or an exixting building within a rehabilitation. We realize your model at dimensions and scale that fit your needs. 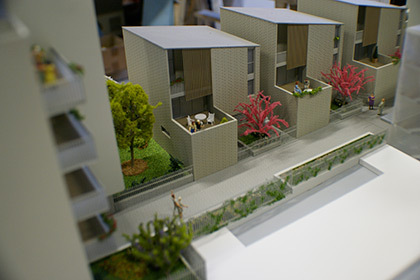 The rendering of the construction materials, vegetation and to-scale people on the model contribute to a miniature reality. LED lighting brings your models to life and makes them more attractive for your communication. In order to integrateyour space, our models come on a base with feet or a custom-made cabinet. 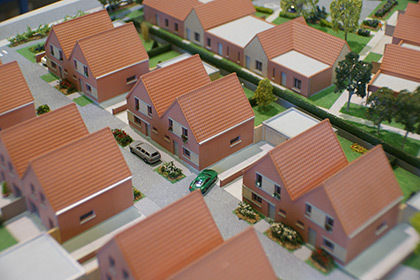 They are provided with a clear case or a showcase to protect and enhance your real estate project. For « Le Galion » project, a model made for a billionaire who wished to better understand the organization of his villa, the trees’ implantation and the view he would have, the materials rendering and the landscaping were a priority. Our reactivity and our reliability allowed us to produce and satisfy our client in record time. 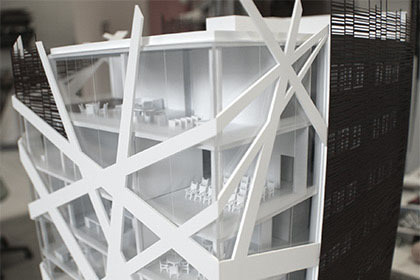 An office model usually stands for a tertiary building, strictly for professional purposes. 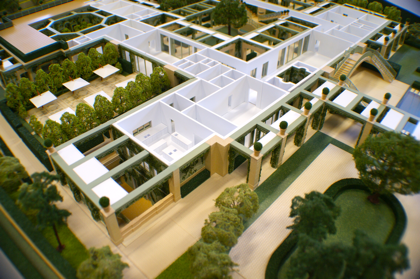 This architectural model was produced for the architectural firm Bismut & Bismut, in Paris, for an exhibition to investors and Democratic Republic of Congo’s president. Project located in Brazzaville.